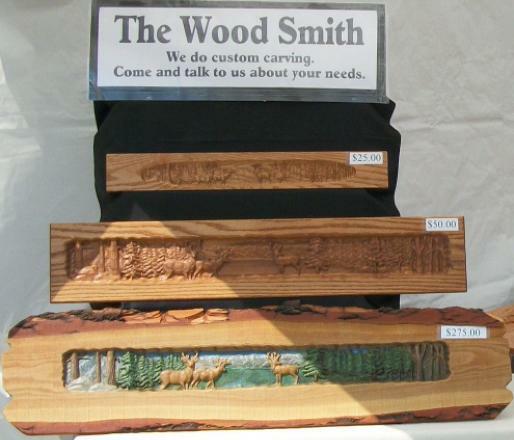 Thanks for checking out our new website, The Wood Smith. 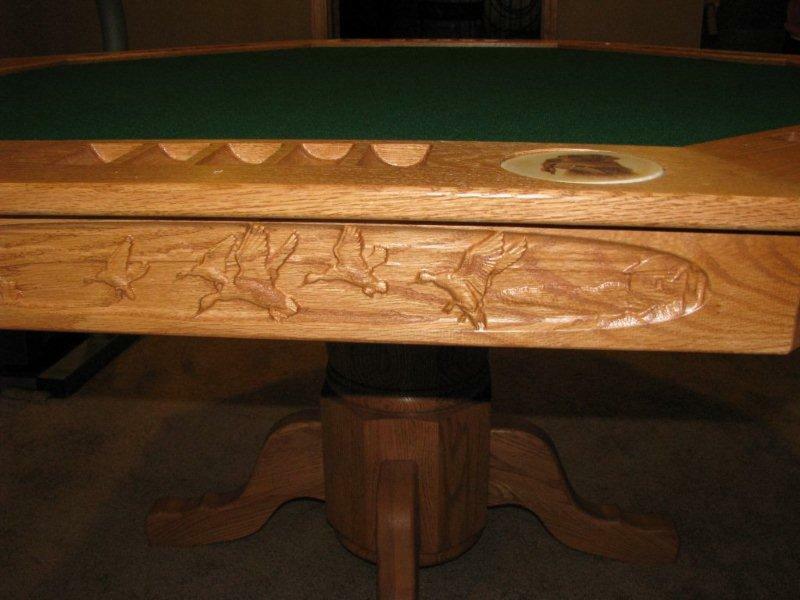 A CARVED SOLID OAK POKER TABLE WITH A UNIQUE DUCK SCENE THEME. 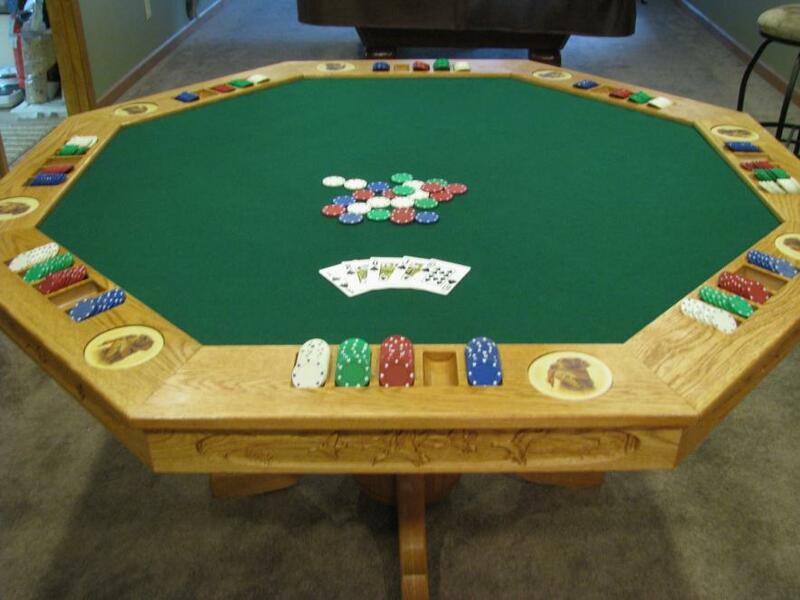 VERY EYE CATCHING TO PUT THE FINISHING TOUCH TO YOUR BAR OR GAME ROOM. 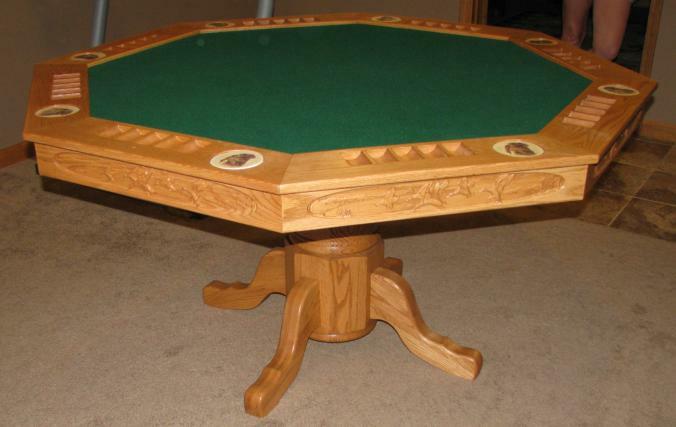 CONSISTS OF EIGHT (8) CARVED OAK DUCK SCENES CRAFTED INTO A 99% SOLID OAK POKER TABLE. 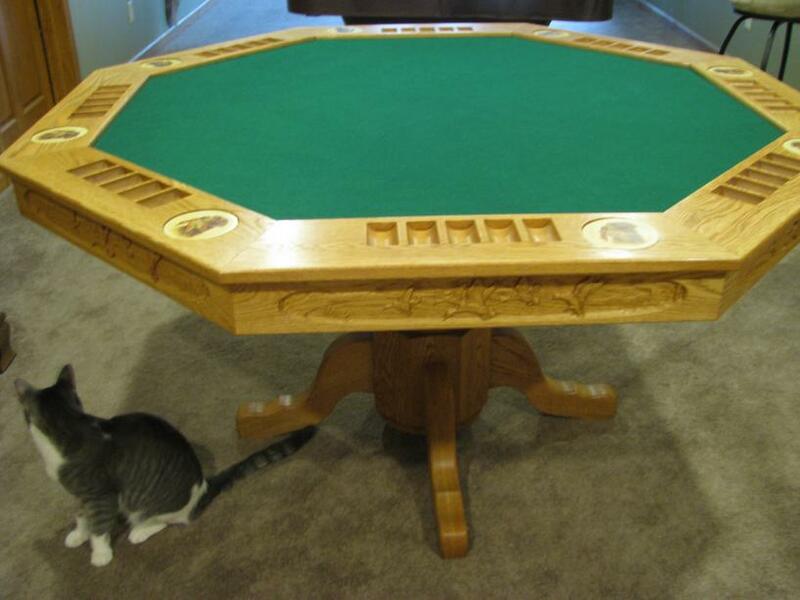 A NICE PIECE OF FURNITURE TO BE VERY PROUD OF. 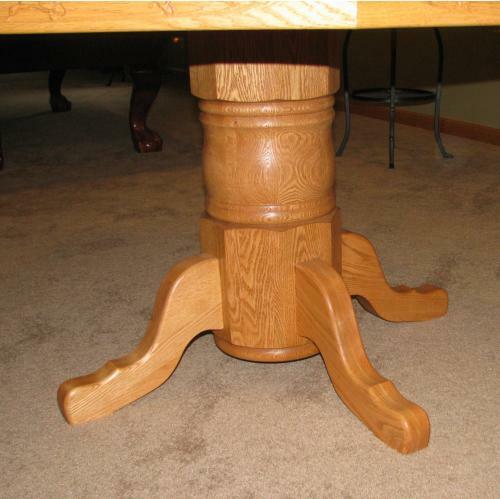 HAS EIGHT (8) SETS OF CARVED CHIP HOLDERS WITH CUP HOLDERS, SEATS UP TO EIGHT PEOPLE. SIZE IS @ 5FT. 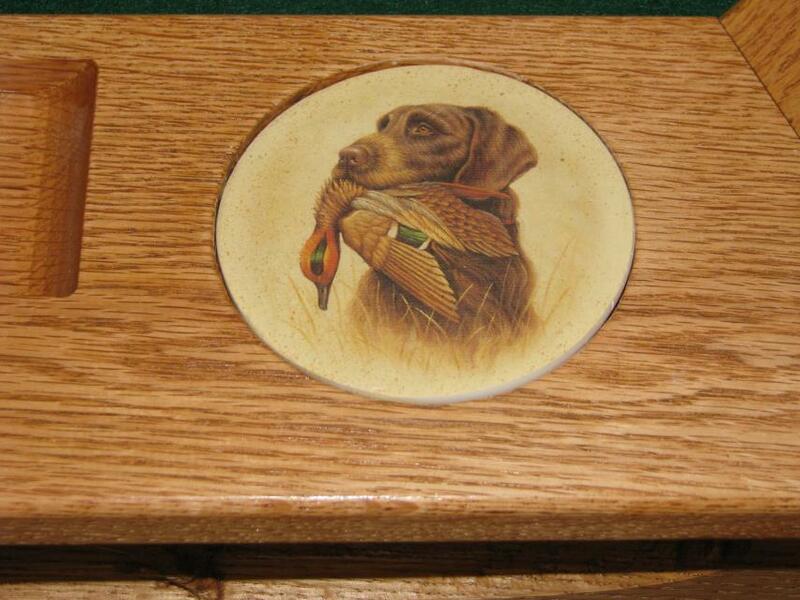 DIAMETER X 30" HIGH. INSURED SHIPPING IN CONTINENTAL USA IS $300.00. PICK UP CAN BE ARRANGED (FREE.) 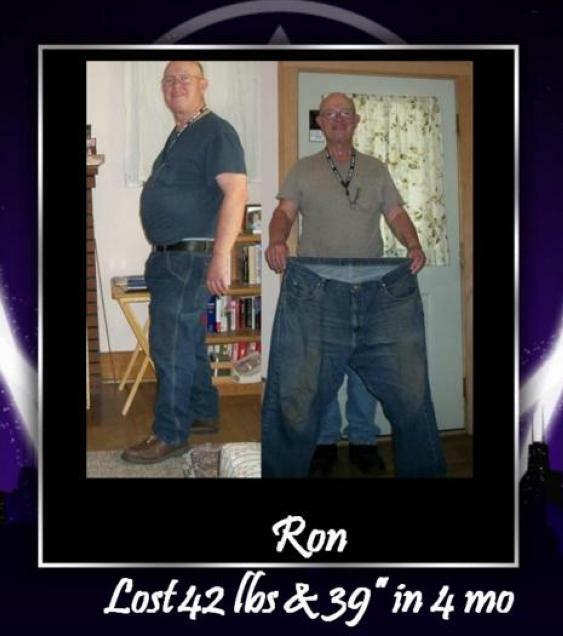 CAN DELIVER UP TO 100 MILES FOR $100.00. 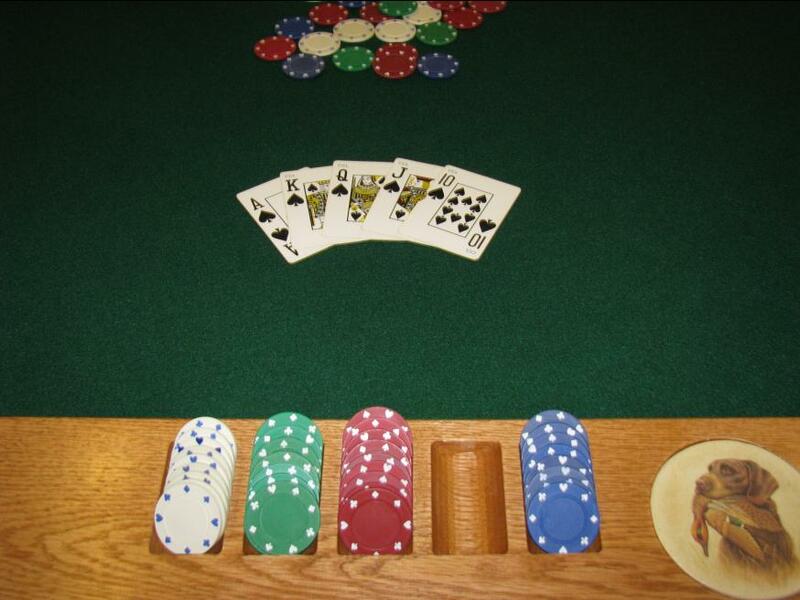 Be sure to check back soon and see what else we have for you. 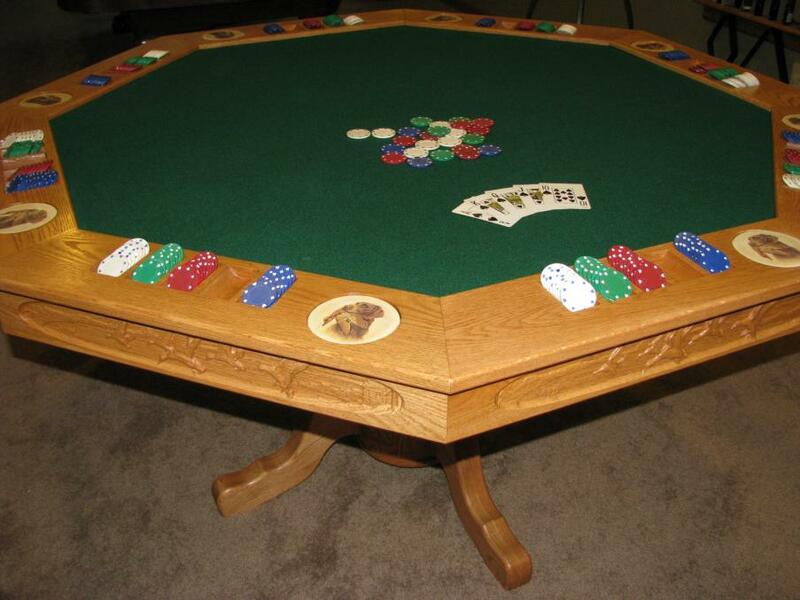 Come Take a Tour of Our Poker Tables! 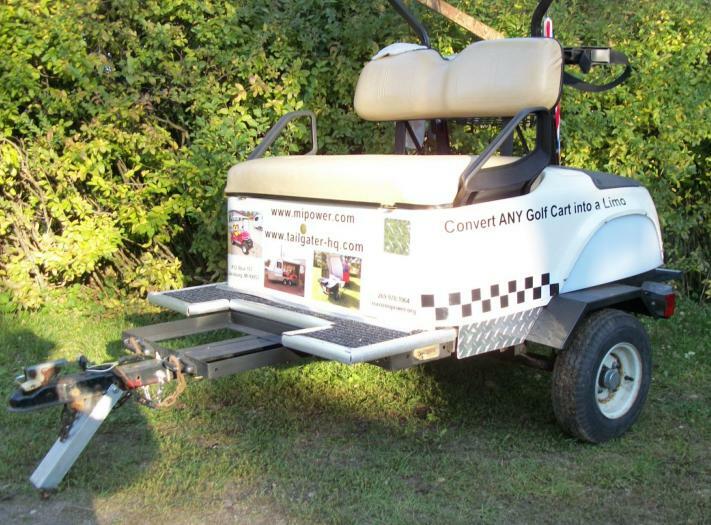 Cart Trailers! . . . . . . . . . . . .